HMS Liverpool recently returned from a seven-month deployment off Libya where she played a key role as part of NATO's task force during the conflict - she also became the first Royal Navy warship to be fired upon in 30 years and returned that fire in self-defence. 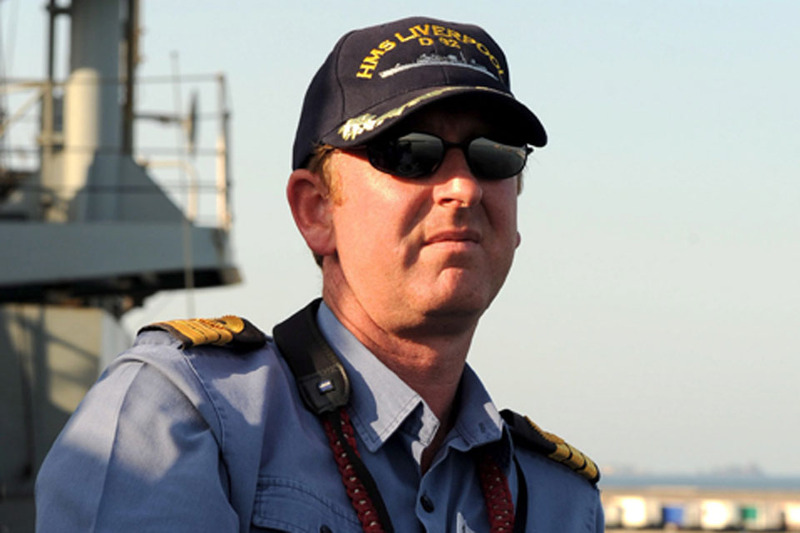 The Type 42 destroyer has reached the end of her natural life in the Royal Navy after 30 years’ sterling service and will be visiting London as part of her farewell tour - she will be open to visitors on Sunday 29 January 2012 from 1000 to 1600hrs, an opportunity which will never be repeated. the public is invited to come on board this venerable warship when she opens to visitors on Sunday 29 January 2012 from 1000 to 1600hrs. As well as holding two receptions for invited guests during her stay, the ship’s company is particularly honoured to be invited to perform the age-old tradition of the Ceremony of the Constable’s Dues at the Tower of London. Dating back to the 14th century or before, this is a real rum-do, when the captain of a visiting Royal Navy vessel must deliver a barrel of grog to the Constable of the Tower in exchange for the protection of the Tower’s guns while alongside. This time, the traditional barrel of rum will be delivered to the fortress by Liverpool’s Commanding Officer, Commander Colin Williams, and members of his crew, to the accompaniment of the Band of Her Majesty’s Royal Marines from HMS Collingwood in Hampshire. This visit is one of celebration and appreciation of the sterling service which this exceptional ship has offered her country during her three decades at sea. I am extremely proud to have commanded her and her crew - there is obviously some sadness in bidding farewell to any ship, but, more than anything, this is a time to honour HMS Liverpool and her achievements, the most recent of which was outstanding and key support to the NATO (North Atlantic Treaty Organisation) operations off the coast of Libya. I sincerely hope that as many Londoners as possible will make the journey to West India Docks to visit the ship on Sunday when we open to the public. 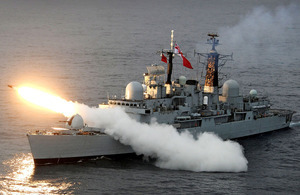 HMS Liverpool sailed at the end of March 2011 to support Operation UNIFIED PROTECTOR where her tasks included enforcing the no-fly zone and conducting embargo operations to prevent arms from reaching pro-Gaddafi forces by sea. During this high-tempo mission to protect Libyan citizens, HMS Liverpool’s ship’s company spent 81 hours at action stations on 28 separate occasions, were fired at and returned fire 10 times, and launched 211 rounds of illumination and high explosive shells from her 4.5-inch (114mm) gun. These illumination or star shells were fired to light up pro-Gaddafi positions for NATO aircraft to identify and destroy. The ship’s company witnessed the siege of Misurata and the fall of Tripoli, Zlitan, Al Khums and Sirte to the rebels and, while enforcing the no-fly zone, Liverpool’s Fighter Controllers spent 360 hours controlling 14 different types of aircraft from a number of NATO countries. During her deployment, HMS Liverpool worked alongside many other Royal Navy assets, including minehunters HMS Brocklesby and HMS Bangor. On the occasions that the minehunters had to search for and destroy any mines that had been laid, HMS Liverpool stood by as protection to allow the ships to successfully complete their missions. Assault ship HMS Ocean and her embarked Apache helicopters were also on national tasking in the area, with HMS Liverpool able to provide assistance as an air defence platform and to give an intelligence picture. All the UK assets were supported by the Royal Fleet Auxiliary (RFA) ship Fort Rosalie which provided vital stores when needed - HMS Liverpool herself conducted 40 Replenishments at Sea with the RFA ship, embarking vital supplies and fuel. I am immensely proud of my ship’s company and the way in which they rose to their challenge and reacted to the very real threat posed by pro-Gaddafi forces. For seven months HMS Liverpool was at the sharp end of Royal Navy operations, spending 360 hours controlling aircraft, firing hundreds of rounds, and spending long periods at action stations. We became the first Royal Navy ship to be fired upon in 30 years and my ship’s company responded by putting their training into action, returning fire in self-defence and destroying enemy positions ashore. In their efforts to protect the Libyan people and enforce the will of the United Nations, the ship’s company proved their grit and determination.